Turn the next day off from school into an adventure at School's Out Camp. Bring the kids for fun-filled days of museum play and unique classroom activities on teacher workdays, school holidays and winter and spring break. Note: We follow the Wake County Public School Systems traditional school calendar. Weather Edition held on days that Wake County Schools are closed for weather and Marbles is open regular hours (9am-5pm). No extended care available for these camps. Campers should bring a lunch and two snacks for the day. Boxed lunches available for purchase during registration. This camp not available on days that Marbles opens on a delay. We must be open full operating hours from 9am-5pm for the camp to take place. Please note: Registration link only valid in case of inclement weather. Lunch planning made easy! Pre-ordered boxed lunches from our cafe are available to purchase for your camper. Vegetarian lunch options available. Boxed lunches are $7 plus tax and will be delivered to campers from the cafe. Preschool campers must be registered for Lunch Care to stay from 12-1pm. Boxed lunch ordering closes three days before each camp. You will still need to send two snacks with your camper for each day of camp. If you have questions about boxed lunch orders, please contact us at camps@marbleskidsmuseum.org or 919.857.1040. 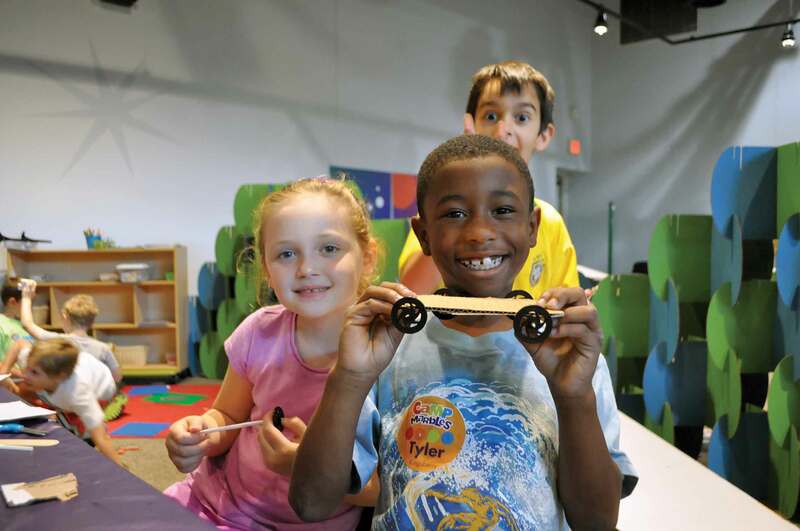 Changes or cancellations must be made in writing to camps@marbleskidsmuseum.org at least two weeks in advance of the camp date to receive a 50% refund. Cancellations made less than two weeks in advance will not receive a refund. A $25 rescheduling fee per child, per camp will be charged for changes requested within two weeks of a camp date. For the health and well-being of all, a child with a contagious illness within 24 hours of the camp date may not attend camp. Contagious illness includes a cold, cough, sore throat, excessively runny/stuffy nose, fever, chills, conjunctivitis (pinkeye), diarrhea or vomiting. Be sure to review the School's Out Camp Information Sheet for essential information about carpool, camp hours, lunch and snacks.